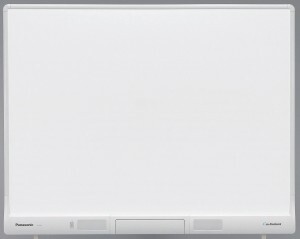 The Panasonic UB-T880W is a large interactive whiteboard – large even by interactive board standards. The UB-T880W measures in at 83″! 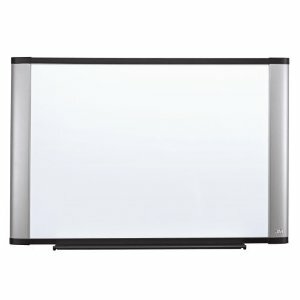 If you are looking for a solid interactive, or “smart” whiteboard for group use, brainstorming, office meetings, or any other reason, you should check out this great surface by Panasonic. The UB-T880W can be operated, or drawn on, by hand due to the capacitive multi-touch surface. Not only can you use your hands to write onto the surface, but up to three people can use the board at one time. If you don’t want to use your hands, you can use the included electronic pen to write and draw on the surface. As with most interactive whiteboard of this size and type, a computer and projector are necessary to operate the unit. This should be no problem in most office settings or other gathering areas, but is something to be aware of if you are considering purchasing this interactive whiteboard for personal use. If you want to get started right away, but don’t have the time to worry about installation in a difficult area, installation services are also available. Panasonic is known for their quality electronic products, and their line of Panboard interactive whiteboards is no different. In addition to the high quality hardware, Panasonic also provides software that is easy to use for creating and manipulating content and interfaces easily with common products such as Microsoft Excel, Word, and Powerpoint. You can find out more information on the software here. In addition to being a great board for office use, the Panasonic UB-T880W is also regularly used in classrooms. Being able to support multiple users at the same time for working and collaborating on group projects is a major plus. 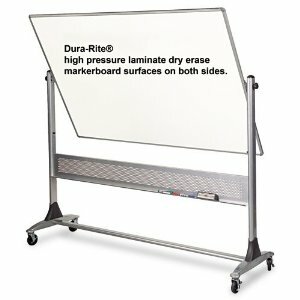 From the elementary school to college classrooms, interactive whiteboards such as the Panasonic are highly valued and used.